Instagram has fast become one of the most popular mediums for sharing images, videos (stories), and slideshows of our day to day lives. Through the app, businesses can connect with customers, and customers can share their creations, used and loved tools, and in-progress projects. We talk a lot here at KW Headquarters (and via text at home at night...and on the weekends...) about social media, our marketing approach, and issues that have come up in our outreach, or efforts that were particularly successful. So much has changed on social media in the last ten years. When we first began the distribution in 2008, both Instagram and Pinterest were 2 years away from being established, Ravelry had only 59,000 users, and Twitter was still a social media darling. How we approach marketing has evolved and changed, and our presence on Instagram is no exception. With over 600 million users, and a controversial feed algorithm, though, it can sometimes be difficult to find your place on Instagram, or reach the market you're looking for. I noticed a huge shift in what was showing up in the Kelbourne Woolens feed once the algorithm was switched last summer. We make an effort to follow as many active knitters and shop owners as possible, but it became apparent very quickly that despite who we were following, we were missing key posts featuring Kelbourne Woolens products and patterns and the Fibre Co. yarns. As a result, I now mainly search posts by hashtag in lieu of relying on our feed for interesting content. If you missed the blog post yesterday, I featured 8 images that were posted on IG using the hashtag #kelbournewoolens. By searching for specific hashtags, I can see as many images as possible that use that tag, whether we follow the person or not. Each day, I search various tags related to the company, many of which we initiated and use in our personal and KW instagram activity - #madewiththefibreco, #lumacollection, #yearofmittens, just to name a few - and I know many companies do the same for their specifically branded tags. Before posting a photo, take a moment to search for tags you think you want to use, or check out the feed of the company, designer, or shop you're posting about and see what tags they are using. Don't reinvent the wheel. Using the proper tag is by far the easiest way to have your images seen and voice heard. We love it when people post images of us on Instagram - sometimes it is actually "us", but the majority of the time it is one of our patterns, notions, or a project featuring The Fibre Co. yarns. Sometimes, though, it is totally unclear why we're in the image at all! Effective hashtag use (see above) of a pattern name or yarn can usually solve the mystery, but sometimes we really just have no idea. If you're tagging someone in an image make sure you're tagging the correct person and that there is a good reason why they're being tagged. No one likes spam, and tagging others willy-nilly for no reason is a surefire way to be ignored, or even blocked, on Instagram. As I was planning this post a few weeks ago, I reached out to a few friends in the industry, both wholesalers and retailers, with admirably large and comparatively small (but no less worthwhile!) followings. While everyone had their own ideas on how to best use social media, they all unanimously agreed that sending customer support messages on Instagram is the number one way to (unintentionally) be ignored. Very few companies in our industry have full time staff members devoted exclusively to social media, and very few have social media accounts exclusively curated by one employee. Add that to the fact that Instagram will not show you direct messages if you're receiving it from someone you don't follow, (and instead sends them as message requests), messages get lost. All the time. It is embarrassing and frustrating when we receive an email eluding to the fact that the sender tried to contact us via IG Message and felt ignored due to our lack of response - it is no way to build a relationship with someone! Since IG is mainly a mobile based app, it is also difficult to give proper customer support via message as we don't have the same tools at our fingertips as we do when working at our desktop or laptops. If you're trying to communicate with someone on IG, use the "contact" button at the top of their home screen to send them an email rather than send them a direct message. Hopefully you will find these tips helpful as you navigate through the wonderful world of IG! This is the first lesson in yarn retail (or any kind of needlework or craft). If you are a shop owner, scheduling your sample knitting for the upcoming season should be a part of your quarterly schedule. In this installment of our Business Sense series, we're going to go in depth on sample knitting, working with designers, choosing the right projects for your customers, and picking the best colors (hint: it's going to be different from your favorite color). When you are ordering your inventory in advance of the upcoming season, and you know which yarns you're going to focusing on, choosing which yarn to sample comes easy. As a shop owner, you should know what yarn is going to be your big "push." Is there a new yarn coming out from one of your best selling companies? Can you get sample knitting quantities in advance? If you can answer yes to both of these, you have your first sample scheduled. In April, we send our regional sales reps (Pacific Northwest, Northern and Southern California, Minnesota and Chicagoland, Texas, Southeast, Mid-Atlantic, New England) sample skeins, pattern previews, trunk show information, working copy patterns, and yarn availability for the upcoming fall season. For spring/summer yarns, the reps are getting product in November. Shops that see their sales reps get the yarn first, and they tend to also get trunk shows first, as their orders come in and they get put on the schedule early. Next up is TNNA. When we go to the TNNA show we are showing shop owners, publishers, and designers a preview of our new yarn. You can see everything the sales reps have in person, and talk to us about the products in depth. We bring sample quantities of yarn that can be purchased, so that shops can have samples of the upcoming collections in the shop when the yarn launches months later, and so designers can have things ready to publish at launch time. This means that for the sales reps and June TNNA show, we've already knit our fall designs and have sampling quantities, usually 5-10 kgs (about 50 - 100 100g skeins), of each color. We know what our next fall season will look like nearly a year ahead of time. So, what does that mean to a shop owner? If you're not seeing your reps and you're not going to TNNA, you are missing a huge opportunity to get a head start on your marketing (and I'm not just saying that because I'm on the TNNA board - I'm saying it because I see it happen every year to really good shops who missed out on an opportunity). If you're finding out about the hot, new thing for fall in mid-September, you may be too late. Your competition down the street may have known about it since April or May, because they see their sales rep. The shop with the slick website in your region may have been planning since the June TNNA show. You may not get the yarn you want when you want it, and you won't have that yarn and sample to display when the product is being shared all over social media. So, now that you know all of that, how do you decide where to start? What are the trends? What's getting a lot of attention online? What are fashion houses showing in knits? And, don't forget these indicators: How is the economy? How are people doing financially? Is my community doing well, or are a lot of customers saying they're not going on vacation or have put off a home project this year? Listen to what your customers are saying at knit night, and read between the lines. Now, look at your data. Where are the bulk of your sales? What yarns can you just not keep on the shelf? What sort of patterns are selling best? What are people knitting? What do you want people to make? Do you have a shop full of scarf and shawl knitters that you wish would make a sweater? Are you planning classes and sales to support your goals? Put these two things together in your mind, and make a determination about what you think will inspire people. Let's say you look at all your data and you see that you've sold a whole heck lot of The Fibre Co. yarns. (Yay!) You carry Acadia and Road to China Light, because, let's face it, I know as well as you do that these are the two yarns that sell like crazy. You look at your pattern sales, both hard copy and Ravelry In-Store sales. 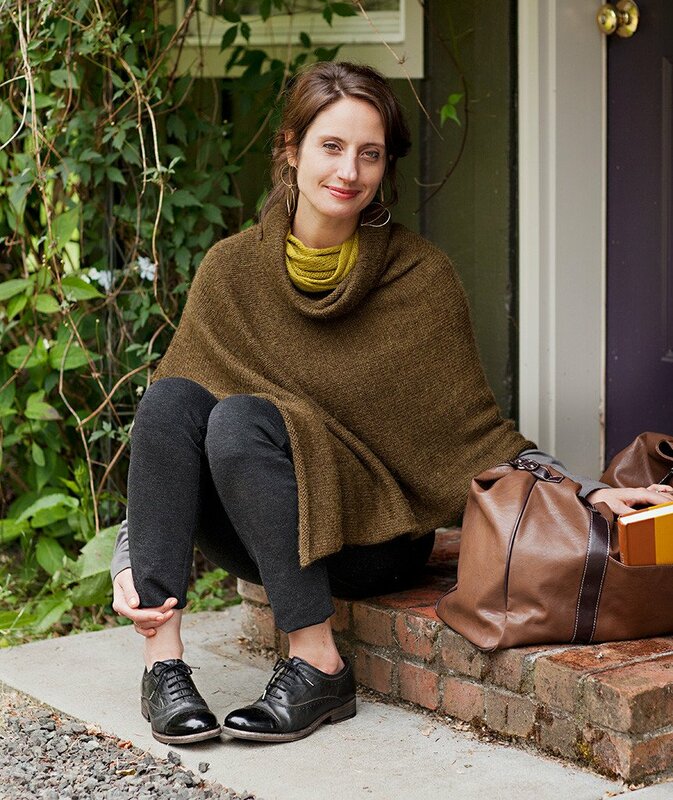 You sold a ton of the Churchmouse Easy Folded Poncho online, and you sold a lot of Kelbourne Woolens' Beech Hill in hard copy form. Your customers like easy-to-knit garments that are just a bit more complex than a scarf. They are getting used to following pattern instructions, and want something flattering and easy to wear. Perhaps they are ready to try a first sweater. It's your job to find them easy, flattering sweaters to make in beautiful yarn - because they have basically told you that this is what they want, and the internet knitting community is about to back up your theory. 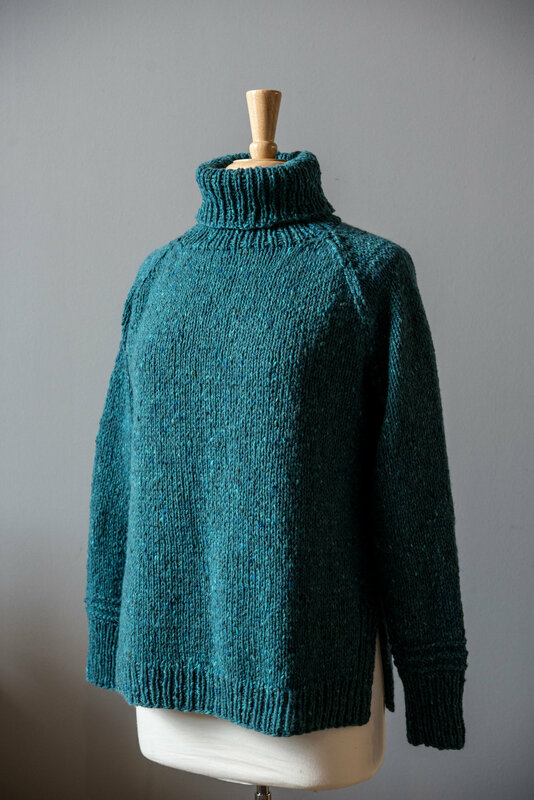 Last April, just after we sent our reps out to show Arranmore to shops for the first time, Fringe Association posted Make Your Own Basics: The Pullover. In that post, Karen lists a number of excellent "first sweater" patterns that are flattering on many, many ages, sizes, and shapes. Image courtesy of Fringe Association. Hmmm... This seems like a promising direction. Is it a coincidence that a number of designers published simple wardrobe basics? Surely not. This is a trend, and your knitters are poised to follow it as long as you give them a little push and a little incentive. Start formulating your plan. Pick a yarn and plan to knit a very basic and beautiful sweater. 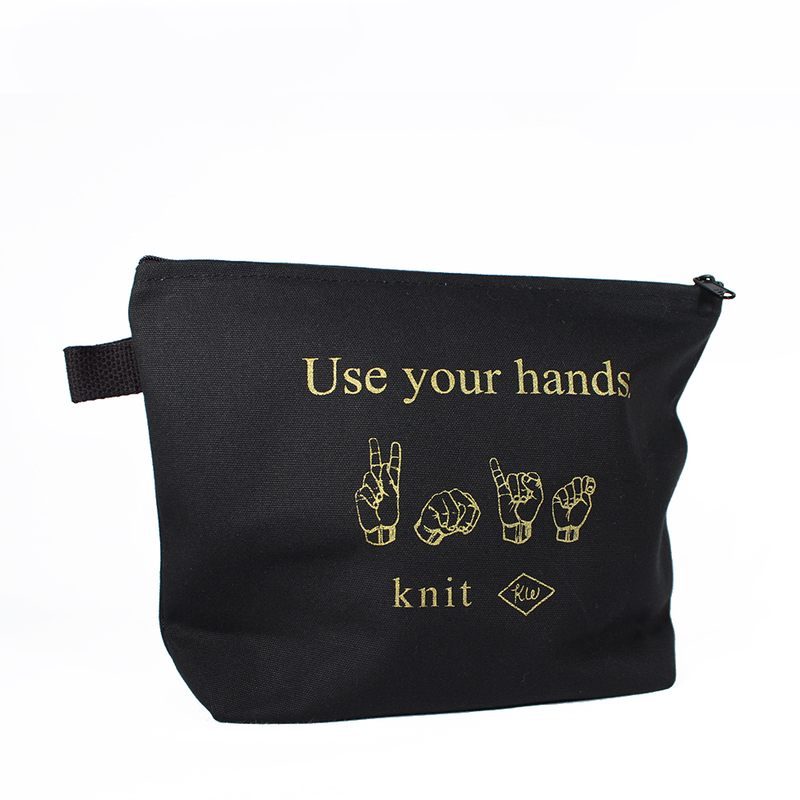 Be prepared to plan a class and a knit along and do some hand holding for those of your customers who have never made a garment before. This may be the first time some of them have ever thought about making a gauge swatch. There's an evening's event right there! Take a look at the collection previews that companies are putting out. Maybe you notice that The Fibre Co.'s new yarn, Arranmore, has some very simple sweaters in the collection. As a bonus, the yarn has cashmere and silk, as does another great Fibre Co. yarn you carry - Road to China Light. The yarn has some interesting texture, too, as does Acadia. Your customers have already told you, essentially, that this is a yarn they will understand and has branding and an image that appeals to them. As an added bonus, Arranmore is an aran weight yarn so the sweaters will go quickly! That's encouraging for a first sweater. There is nothing that says you have to use the colors in the pattern. In fact, we recommend that you don't! You know what colors sell in your shop, and you know what sort of knitters you have. Do your customers tend to gravitate towards "classics" such as neutrals and navy? Are they more adventurous and tend to buy up purples, oranges, and pinks? Do you have a clientele who look great in and wear brighter colors or do you sell out of the paler colors first? Let your customer base dictate what color you use - NOT THE PATTERN. We re-knit a second trunk show of the Arranmore Collection and opted to use a different color palette. It's important to show multiple options, because it helps to broaden your customer's imagination and helps them think outside the box. One of our jobs, and yours as a shop owner, is fostering creativity, and this is a great place to start. Choose a color that works for your clientele, and don't fill your shop with green samples because it's your favorite color. It may be your favorite color, but it may turn some people off. Keep a balance, and try to choose colors that are both appealing to a wide range of knitters, and also some that are unexpected - you'll be surprised how quickly your yellow sells out with an excellent sample supporting it! Once you've chosen your yarn, your sample, and color you'll want to think about how you'll encourage your knitters to jump on the bandwagon. Plan a launch party for the yarn and showcasing the sample and consider offering a small discount on the yarn and pattern bundle, or with a class sign up. Host a class series, and schedule a series of drop-in sessions. Why not plan a few little prizes for those who finish their sweaters and post them on Instagram? All of these little things make great social media fodder, and encourages customers to buy the project from you - even if they aren't local. You'll have knit the sweater yourself over the summer, so you'll know how long (realistically) it will take to complete. That way you can be planning what to promote next! (Hint: If you've just promoted a sweater, follow up with an accessory and vice versa). So are you ready to think about spring? We are! Our sales reps will be getting their spring previews next week, so get your needles ready. Share what you're knitting for fall and winter in the comments. We love to know what you're making. Want more business sense? Check out more in the series! In order to maintain a successful brick and mortar shop, one really has to think outside of the box. Competition with online shopping and large "big-box" stores can be brutal, as the downsizing of Main Street across the country has shown. People are busy. Amazon has built their business based on relieving some of the stress of "getting it all done." Some shopping districts thrive, and some struggle - and the same is true for shops within those areas. Why the discrepancy? At the end of the day, it's about how you engage your audience - whether you are making policy decisions for your city, or are a small business owner, it's your job to encourage consumers to support retailers, and how you do that can make all the difference between just surviving and really thriving. Customer engagement is an issue with no easy solution. It's a large, nebulous web of interlocking pieces of your community. But, the bottom line is, if you're losing customers you have do something, and it may be something bigger than you think. Is there a magic formula? No, but there are a lot of little things that can get you started on the right track. I cannot stress enough the importance of being involved with your local community chamber of commerce, city council, or small business district. They are creating policies that can make or break your business, and if you don't know what their priorities and plans are for your town or neighborhood you will miss out on opportunities to grow your business, or risk the possibility of going down with a ship you didn't even know was sinking. Local business groups like our Manayunk Development Corporation create programming that brings people to Main Street (the primary shopping district) for food festivals, art walks, music festivals, and more. They also have a website and magazine that features local businesses and events. Piggy-backing onto local events with a sale, or a free teach-in are great ways to get new customers and generate more word of mouth. Finding an organization in your town and getting involved is a great way to build your business. No, you don't have to sell yarn online (and many recommend you don't), but you do need to have a cohesive online presence. As yarn shops, maybe it used to be enough to buy yarn and put it on the shelf for knitters to come and purchase. You had an ad in the yellow pages, so people knew you were there. This is how I found my local yarn shops when I moved to Chicago for college in 1997. Now people turn to Google to find what they are looking for. But, once they found you (if they're even able find you online) do they like what they see? From blogs, to Instagram, Etsy stores, and Ravelry, today's knitter can get it all from the internet. Customers go online to comparison shop, look at inventory before they visit, and research reviews on products while they are in the store. Studies have shown that the concept of "showrooming" (looking in-store and buying online) is not as prevalent as we thought it would be, or that many still claim it to be. In fact, the opposite is true. Many more people "reverse showroom," (looking online and buying in store). If you want people to buy the thing they see online from you, they have to be able to find you first. Take a deep look at your online presence and commit to cleaning it up. Search for your shop and see what is there. As an experiment, I took a look at our local yarn shop, Hidden River Yarns. Hidden River does a nice job of branding their shop across all of their channels: Facebook, Twitter, Instagram, Google because all places use the HRY logo and many of the same images and taglines. The website is the first link to come up, followed by Yelp, the shop's Facebook page, and various articles from local publications. The Google business details are updated, and include shop hours, phone number and address. What if you do a search and details are incorrect, images or dated, or nonexistent? Maybe it's time to update your logos and graphics. Buy a new URL if your old one makes no sense (philadelphiaflyfishing.com is going to get you many more hits than bobsflysphl.biz). If your site is dated, or was built by someone else and you're not capable of doing regular updates, use one of the many cheap and easy to use tools such as Shopify, Wix, or Squarespace to create a new site that you have full control over. Keeping up with all of these various outlets can be time-consuming and overwhelming, but it is crucial to maintaining a presence and to reaching new customers. Need help? Reach out to your local college or high school and find yourself an intern, or hire a company like Stitchcraft Marketing to help. You don't have to do it all yourself. I cannot stress the importance of this enough. At the recent TNNA Yarn Group Meeting in DC, we had a great panel of yarn shop owners help us decipher some key findings of the State of the NeedleArts Industry report. When speaking about hiring staff, Jaime Jennings, co-owner of Fancy Tiger Crafts said (and I'm paraphrasing here), "I can teach a new employee to be a better knitter, but I can't teach them to be nice." This might seem counter-intuitive - you may think hiring an expert crafter would make a better employee, but if said expert doesn't have the patience, people skills, and desire to socialize, they're not going to be a good long-term asset to have on staff. Employees who feel confident and like they are a part of your shop will go a long way to help you build customer loyalty. Hire people you like, who know retail, who love customer service, take the time to train them well, and don't be afraid to let them go if it doesn't work out. 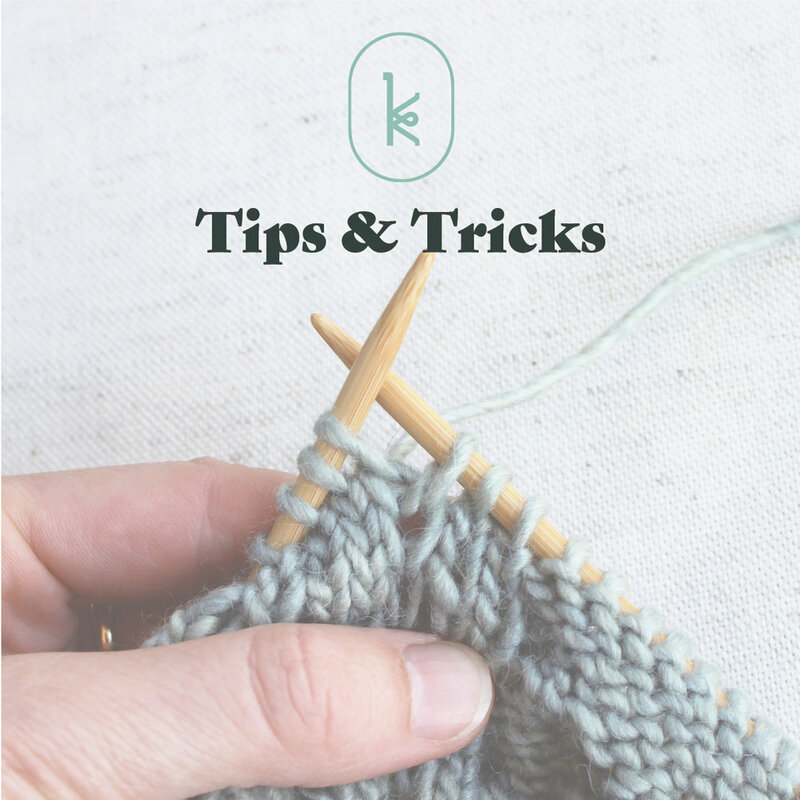 Knowing both knitting and crochet skills is a key aspect of the job, but if your staff isn't friendly, customers are not going to want to ask for help in the first place. One of my favorite quotes is from American Express Small Business, "Look at your team. Make sure it's filled with people who can explain, 'This is why we're here' not 'This is why I'm here.'" Your staff should see themselves as an intrinsic part of your business, and you as their mentor. Be there for them, and they'll be there for you. STOP COMPETING AGAINST THE COMPETITION. Yarn shops come and go. It's sad, but it's true. They close due to retirement, family responsibilities, or business in their area is bad (see Item 1). Sometimes we hear they close because of competition. Does it stink when a new shop opens close to you? Of course it does! Does it stink when you realize they are trying to compete with you? Of course it does! Take a deep breath, and relax. It's okay! Let this be your mantra, "If you find yourself alone in a market wondering where all the competition is, you very well may be standing alone with no customers." You don't have to fear your competition. For better or worse, our economy is built upon the principle of competition, and it's not always a bad thing. You keep on doing what you do best, and let them try to figure out what they do best. In the end, you'll both do better by working together. Have a customer who needs one more skein of a yarn you're out of? Foster good will with that customer by calling your competition, and maybe your competition will do the same for you in the future. Both will remember your actions, and think highly of you. 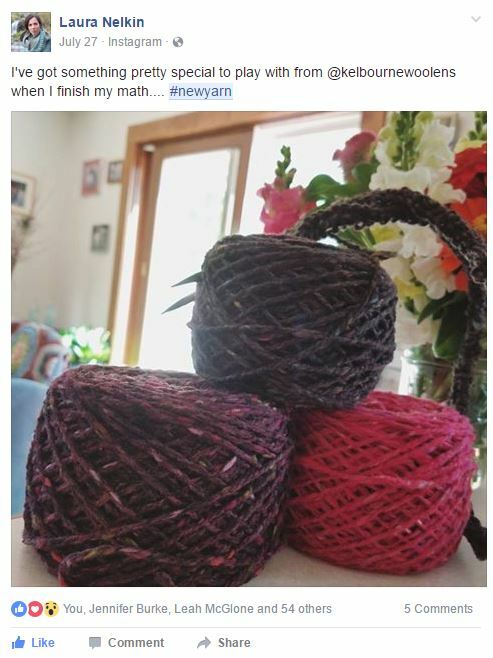 Have a customer who comes in with yarn you don't carry looking for knitting help? Help them. Heck, offer them a coupon for 10% off their next purchase. You may be out a bit of time, but the end result is a sale that maybe wasn't going to happen otherwise and a new customer that will be committed to you and your shop. Working well with the other shops in your area also allows you to have successful events, like Shop Hops. Combining your efforts and resources to bring high profile teachers to your town is a net benefit for your whole knitting community. And if you encounter a shop who doesn't play nice with you, odds are they aren't playing nice with their customers, either. Just remember, more shops = more knitters and crocheters. DO WHAT ONLINE AND BIG BOX CAN'T DO. While online and large big box stores seem to have the upper hand, you can still beat them on price, immediate gratification with in-store pick-up, a great return policy, a rewards program, specialized help, friendly service, classes, events, special orders, exclusive colors, and trunk shows. All of these are things they cannot do in the same way for customers. While it is all hard work, you should also be taking time to think outside the box and do more. As wholesalers, we are constantly thinking of new ways to encourage knitters to go to their local yarn shops. Our Year of Mittens is just one example of this. Knit-a-longs are just one reason for customers to visit your shop each month, but as a retailer, it is important you find fun and creative ways to host your own events in conjunction with the project based on your customers needs. Maybe this means teaching a class on reading charts (a common hiccup), hosting an extra knit night for anyone participating in the knit-a-long (people love feeling like they're part of something), or a Wine and Wind party so people can hang out, wind their skeins, and share their project ideas (it is amazing how customers can encourage others to buy more). Have you noticed all of these painting and pottery shops popping up in your area? Painting With a Twist and Wine and Design are two franchises that specialize in a party model of teaching crafts. A number of independent pottery and art studios have the worked with this trend, offering one-time after work classes with a BYOB or free wine element. Instead of looking at online stores, or franchises/chain stores as a problem, make sure your shop is the place people want to visit. Online stores don't know their customers by name, and they for sure won't give their customers a glass of wine, put yarn and needles in their hands, show them how to knit, and make them feel as if they're part of a community. • Looking for more Business Sense posts? Check out the full series here!